So what makes both Nuffnang and Hapee first class? Well they are the FIRST and at the top of the line with a world CLASS level in terms of quality. 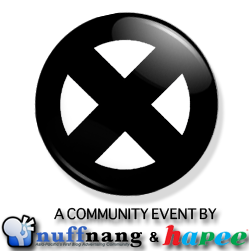 Nuffnang.com is a first class Asian blog advertising community which aims to allow advertisers to serve graphic or video based advertisements onto blogs hosted by Nuffnang.com, with over 90,000 bloggers spanning across Singapore, Malaysia, Philippines and Australia. Nuffnang is popular in different countries in Asia and that is why it is truly world class, making blogging advertising so much fun for everyone! I am a member of the Nuffnang Philippines blog network and I'm one helluva proud Nuffnanger! On the other hand, in Happee I was able to find the first class oral care products. I am personally using Hapee toothpaste with maximum fluoride protection. When I was a cute kid, (kailangan may cute?? Hehe) I have never really used the most popular brand of toothpaste. And as an adult now, I now know that popular brand names do not necessarily mean that it is the best among the best. As for me, Hapee is the best and one of the cheapest Philippine-made product in the market today that is being exported to other countries. It is a great buy and very cost efficient. I know that a lot of people love using this product compared to imported brands because it's worth it. That said, it makes me so proud to be Pinoy and I will forever be loyal to this product. I’m glad that the company is trying to create new variants to suit the needs of its consumers. I’m also happy that I can get the best quality out of a cheaper brand of toothpaste. Hapee is truly first class! Click here to learn more about Nuffnang!